Eric received his Bachelor of Science degree in Business Administration from the University of Florida in 1984 where he was a Finance major. He then obtained his law degree from the University of Miami in 1987. He handles various types of commercial litigation, both at the State and Federal levels, employment discrimination, personal injury, workers' compensation cases, Social Security Disability cases and Longshore and Harbor Workers' Compensation Act cases. Eric is a member of the Florida Bar, U.S. District Court for the Southern and Middle Districts of Florida, and he is also a member of the United States District Court of Appeals for the Eleventh Circuit. 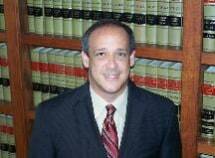 He is a member of the Dade County Bar Association and the Florida Workers' Advocates. He is very active in local charities and has served on the Board of Directors for the Children's Cancer Caring Center, Broward Chapter, The Angels in The Outfield to benefit the Joe DiMaggio's Children's Hospital and the Board of Directors of the Silver Wishbones to benefit the Make-A-Wish Foundation. He is also an active member, Trustee and past President of the Friends of 440, and 2006 Honoree Award recipient. Eric was Chairman of the Honoree's Banquet from 1997-2006. He is also the Vice President and a Trustee of the South Florida Board of Directors of the Friends of 440 Scholarship Fund, Inc. Eric has served on various committees for the Scholarship Fund, and has Co-Chaired the organization's fund raisers: A Night with the Marlins (2008), The David Levine Memorial Golf & Tennis Classic (2007 & 2008) and 2008 Car Raffle. Eric has also assisted in raising money for the American Heritage School theater department for their Programs for their Theater Production (2008). Eric joined Levine, Busch & Schnepper in April 1996. Eric grew up in New York and moved to South Florida in 1977. He currently resides in Weston, Florida, with his wife Michelle and their daughter, Nicole.